Lenora Chu, a renowned Chinese-American journalist, is a daughter of Taiwanese immigrants who moved to America. In contrast, Chu decided to move to Shanghai to raise her three-year-old son using the highly-praised Chinese approach to education and schooling. During their stay in Shanghai, Chu was quickly faced with the evident differences between American classrooms, which is a custom that she grew up in, and the strict Chinese approach. Thus, she decided to write a book filled with compelling investigative journalism and memoir-like storytelling about her experience, entitled Little Soldiers. Ricepaper had the incredible opportunity to chat with Lenora about her latest book, societal differences between Chinese and American culture, Chinese teaching methods, and her Asian-American identity. 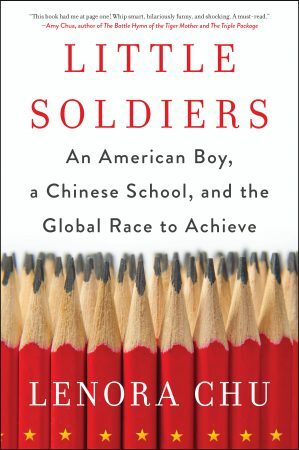 Charlotte Nip: Can you briefly tell our readers what your newest book, Little Soldiers, is about and what inspired you to explore such complex yet relevant questions about China’s insular education system? 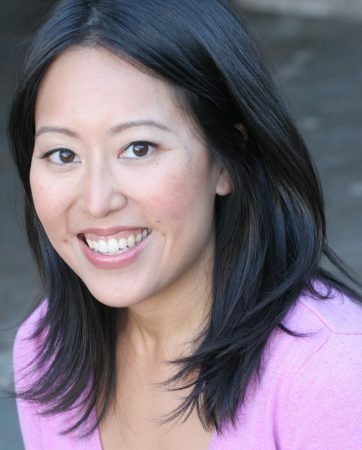 Lenora Chu: I relocated with my family from the U.S. to Shanghai in 2010. Our professional mission was straightforward — my husband and I are American journalists sent to cover China — yet we’d be raising two little boys in China. To my surprise, our oldest turned out to be my entrée into China’s education system, which is typically described in stereotypes. It’s either the world’s best students or rote-learning robots! No creativity! Through this very intense, personal experience of parenting my son in Shanghai institutions, I had a chance to pull back the curtain on the system. CN: I really enjoyed reading Little Soldiers because there were so many memorable and relatable moments that reminded me of the stereotypical “tiger mom” culture that is portrayed in our everyday media (some even loosely reminded me of my childhood even though my parents have adapted to the Westernized parenting culture). What was it like living in the hyphen of your own childhood? And how is it different from your son’s experience now? LC: My sister and I were expected to succeed in the only way my parents knew how — through education and academic achievement. Frankly, I rebelled. I didn’t like piano, Sunday language school, or Chinese dance, and it wasn’t until I had a child of my own that I began to seriously reflect on what I liked about my own upbringing. Which parts did I want to replicate for my son? Was that even possible? Mom, I never get a star for running in the classroom. I get it for sitting still. CN: Society deems this competitive, over-achieving state of mind as the new norm, or as the subtitle of this book states: “The Global Race to Achieve.” If we’re not achieving and winning, then whatever we’re doing isn’t good enough. Where do you think this state of mind comes from? Do you think there’s a flaw in this way of thinking? And if so, what are the dangers to this? LC: The world is getting smaller, and we’re competing with people from all over for university admissions and jobs. That’s just a fact. Of course, an undercurrent of fear runs underneath all of this dialogue you mentioned; and I do believe that part of that comes from a lack of understanding. I wrote this book in part because I’d like to help de-mystify Chinese education. China’s school system is a high-stakes, test-driven framework, and of course that will shape values and behaviors. When I hear people talk about “dangers” in education competitiveness, they’re usually talking about the growing trend of testing students in dozens of countries and ranking them based on their scores. There are plenty of ways to measure success, and this is just one of them. Yes, these results and rankings have in some case been twisted to draw conclusions that aren’t always helpful. On the flip side, it doesn’t mean that the British can’t learn something from the way the Chinese teach math, or that a Chinese teacher won’t benefit from observing a Montessori preschool in New York or California. The world is rapidly shrinking — we all have something to learn from one another. In fact, it’s imperative. CN: What does your Asian-American identity mean to you? 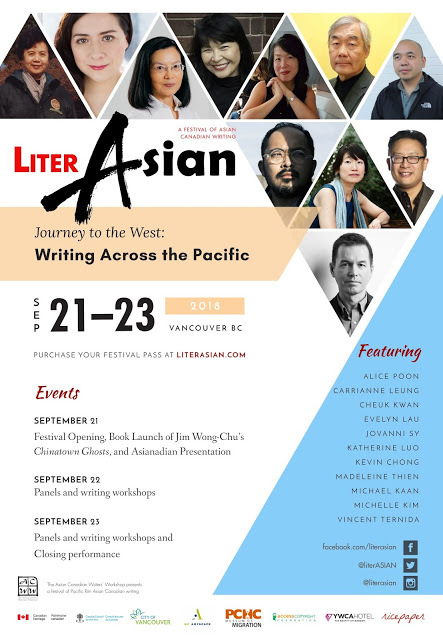 LC: I’ve always been an outsider in some sense… my parents were immigrants to the U.S. and when I was growing up, we were one of the few Chinese-Americans in my neighborhood. I was always trying to find my way forward by adjusting to an unfamiliar environment. I’m a person of two worlds, and that’s helped me become more flexible and open-minded. CN: You are a very accomplished journalist and now published author. What motivates you? Do you have any advice for aspiring writers and journalists? LC: This book was motivated by having something to say, and I happened to be in a position to add to this particular conversation about U.S.-China education comparisons in a meaningful way. I had a son in local public schools just as the education policy world was focused on Shanghai because of its top-place finish in PISA; I had Chinese language skills; I was trained as a journalist; I had this very rigid upbringing of my own. I’ve worked on other book proposals before, and later shelved them — I have a memoir about Hollywood half-written, for example — and I realized that it wasn’t until everything lined up in the way I described above, that things began to click. Ultimately, I don’t think I realized how much hard, isolating work it takes to complete the reporting and research for a nonfiction book. Then there’s the writing process! I’m at my most creative from the mornings until about 2 p.m., and I had to skip lunches, meetings and social engagements for at least a year during the writing phase to get this book done. CN: What’s a book that you think everyone should read right now? LC: I was taping a segment of CBS This Morning the day of my book’s on-sale, and Ellen Pao was in the green room with me. She’s an inspiration, and I can’t wait to dig into her book Reset. CN: What are you working on right now? What’s your next project? LC: I would love some time on a beach in southeast Asia. 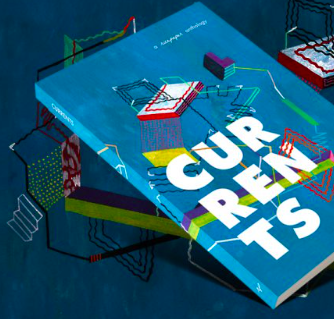 Mostly, right now, I’m hoping I can help launch this book successfully into the world. CN: Why do you think Chinese kids are better at math than Americans? LC: I don’t say Chinese students are better than Americans at math, though I quote research that draws this conclusion from various studies. In the book, I simply describe how the Chinese do certain things that we might consider in math teaching. For example, teachers in China specialize in subject matter from Grade 1, so that a first-grade math teacher teaches only math, while another might be in charge of only language and literature. That means Chinese children are exposed from a very early age to instructors schooled at a high level of expertise and content knowledge. Studies have also shown that teacher-directed instruction helps in some disciplines, such as in geometry and computer programming. Education researchers have been talking about some of these concepts for a long time. LC: I love to hear from people who have insights on education and parenting, especially around the topics I write about. You can purchase Little Soldiers here and visit Lenora Chu’s website for more information.